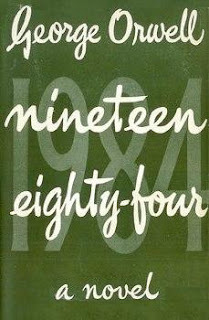 The book was written in 1947-1948 and named as “1984” after eliminating a few options by inverting the date. Those were the years that the war had just ended but the chaotic atmosphere of the war was still felt. Winston Smith , the protagonist of the novel ,represents his society and their troubles,their emotions,their lack of belief in everything in a sense. The first name makes reference to Winston Churchill, one of the famous British statesman, who is a political and intellectual hero during war. The surname Smith is a very common English name,thus the main character of the book is representative of “everyman”. Orwell creates his character perfectly and makes reader to symphatize Winston. On the one hand we have a rebellious man who commits crimes such as writing “down with Big Brother” in his diary or having an illegal love affair with Julia; on the other hand he has paranoias about being catched. These characteristics makes reader to identify themselves with him and experience his pain and agony, caused by living in a society where life is mechanized like any other machine and where all thoughts and actions are controlled. Alienation is inevitable in a society like the one in Oceania of which human bonds and human emotions have been destroyed. Everyone, including children, are taught to keep an eye on one other and report misconduct to the Party. Winston lives in a World in which optimism is an impossibility; lacking any real hope. At the Minitrue he is an editör responsible for historical revisionism, concording the past to the Party’s contemporary official version of the past; thus making the government of Ocenia seem omniscient. As such, he perpetually rewrites records and alters photographs, rendering the deleted people as “unpersons”; the original documents are incinerated in a “memory hole”. Despite enjoying the intellectual challenges of historical revisionism he becomes increasingly fascinated by true past and tries to learn more about it. Winston seeks the unadultered truth-and the only way to attain that is by rebelling against the totalitarian rule of the Party. In a society where everyone is merely existing and fulfilling the Party's wishes, Winston continues to think, question, love, and feel like all free human beings should. He tries to remember his past but he could not. Winston is alone, he doesn’t have a family and he even doesn’t have their photos or their writings etc. He thinks about his mother sometimes,however he is not able to feel any real emotion. He is a stranger to his own life,own identity indeed; thus his alienation to society, like other characters in the novel, is not suprising. 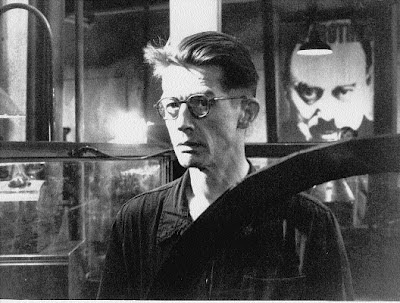 Winston Smith has troubles about relying on others. In an environment that all of his behaviours are controlled and all his speeches are recorded, he cannot trust anybody. This lack of confidence makes him insensitive. He lives a very dull life in an apartment at Victory Mansions: he wears blue overalls, eats synthesized food – including black bread, bitter chocolate, and fake saccharine – rationed out by the Party, drinks industrial grade Victory Gin, and smokes Victory Cigarettes as a common man untill he recognizes Julia and builds up a relationship. He is not alienated from real life by himself from now on, he has a lover and a friend. They will resist together by the time Party realize this inexcusable love affair. Mechanization and urban decay affect the protagonist, as well. Symphatized by the readers , Winston is easily identified with them and they are able to understand his feelings about the world Grey buildings which are crumbling, never working elevators, unreliable electricity and plumbing show how mankind and their needs are neglected. Party achieves its aim: Inner Party workers change the truth, rewrite the history, not only kill the rebellious people but also remove their name and body from the memory of society. They do not think in which condition people do live or from what they suffer. With the help of telescreens they can follow them and order them what to do. After a while community gets used to this kind of life style,however, the ones like Winston is unable to adapt as a consequence he becomes one of the “unpersons”.